<hint>When removing the Dragon ski shock pad up the shaft so you dont nick the shaft on the upper a arm ball joint. Arctic Cat Revalve most models from 2002-2011 range from $44.00 a shock, plus any damaged parts that get replaced. 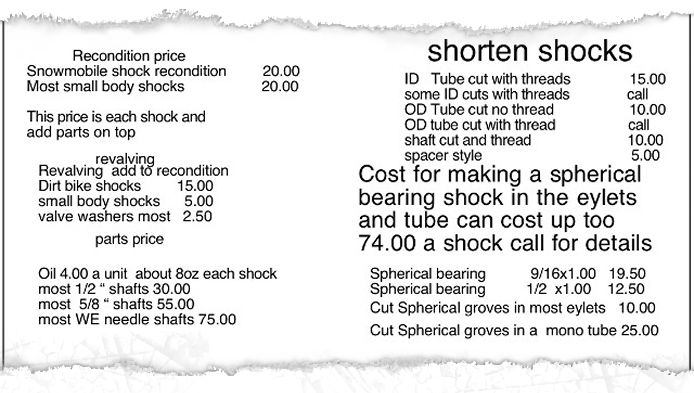 Shock shortening I can shorten most shocks 3/8 and less with a shim and as short as you need by cutting and threading the tube and shaft call for info.